This is a note I wrote my sister last year, when she was in the midst of looooong struggle with infertility. She is now pregnant, by the way. I’ve been thinking of you extra today. There’s always so much I want to say, but I know it’s not really the kind of stuff you want to hear. But I’m really praying you can find peace in this great struggle you’re facing, and a light in this dark cloud you’re in. 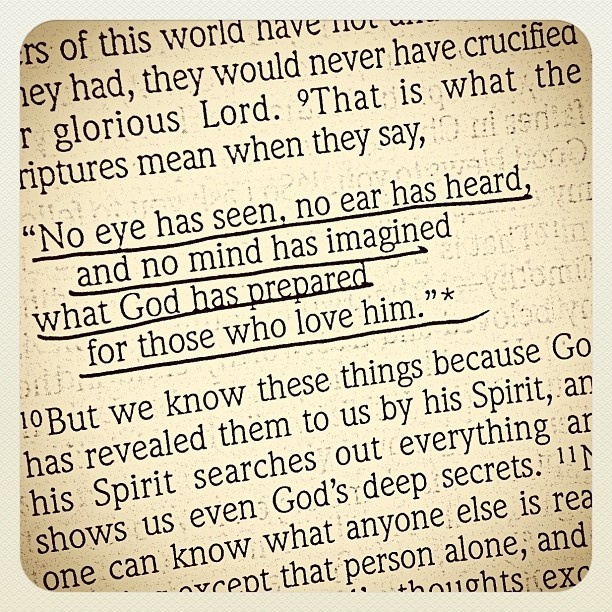 And that you can find peace in believing that even when God’s plan is different than ours, His plan is surely better. And even if it’s painful at times along the way — even if it’s gut-wrenchingly awful — we want the better plan in the end. This is something I remind myself of when I don’t get the first (or second, or tenth) plan I want… “Even if it’s painful, I want the better plan.” I hope you can find peace and believe this, even in this really horrible time for you. I love you!